The Textile Museum has just announced that John Wetenhall has been appointed to be director of the Textile Museum and the George Washington University Museum. John Wetenhall will begin on 1 June and will lead the transition of the Textile Museum to the George Washington University campus. 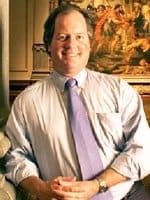 “John is an accomplished museum professional with more than twenty years of executive experience in the field, including successfully leading multi-million dollar capital campaign fundraising initiatives and directing a university art museum” said Bruce P. Baganz and continued “The Textile Museum and GW are excited to have someone of John’s creativity, wisdom, and accomplishment to take the lead in shaping a new kind of museum, a unique affiliation between a university and an existing art museum”.